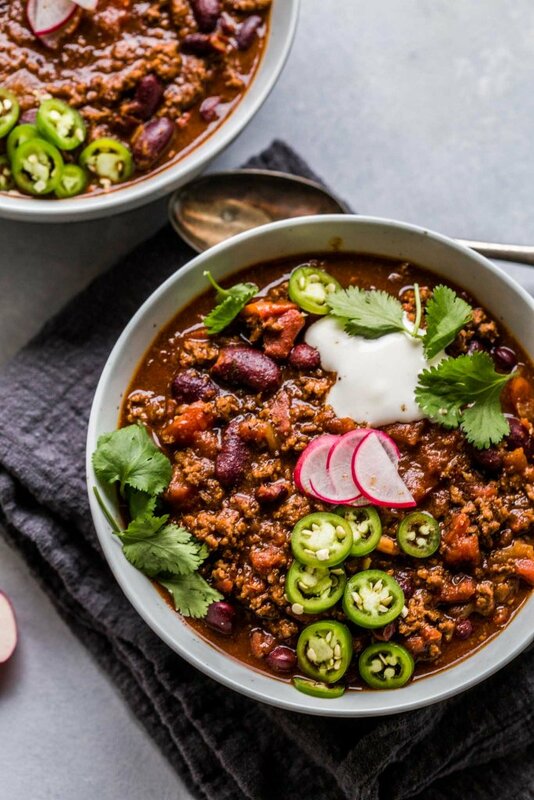 My Spicy Beef & Beer Chili is a hearty one-pot chili that’s rich and spicy and perfect for chilly nights. There’s something I find so warm and comforting about a bowl of chili and I find myself craving it weekly when it’s chilly outside. I’ve been making this chili, with a few modifications here and there, since college. The first year or so of making this chili, I always started with a packet of chili seasoning from the grocery store. Super simple, and inexpensive for the most part. But one night, I was desperate to make this easy dinner, but I realized I had everything on hand but the seasoning packet. So, I rummaged through our spice cabinet and came up with my own spice blend – amping up my favorite flavors like cumin and oregano, and giving it a hearty dash of cayenne for lots of heat. Which Beer Is Best for Chili? Now, you may be wondering about the beer… I say, add whatever you have on hand with one exception – Skip the IPA. I’ve tried it a couple times, with a couple different brands, and I find that the extreme hoppiness just overpowers all the chili seasonings. But I have used dark porters, mexican lagers and brown ales all with great success. If you’re anti-alcohol, you could also swap in some chicken or beef stock, or just leave it out entirely. This chili may be a bit more thin than you’re used to. Like, say, this wouldn’t make the best topping for a hot dog because it’d be all over the place. But, I made it this way for a reason, and you’ll have to tell me if this is odd, or if this is how you eat your chili too – I like to serve it over rice. Growing up, whenever my Nana LaMancuso made chili, she’d always serve it up with a pot of rice. We’d ladle the spicy chili over top, fix it up with our toppings and then eat it all up with a spoon. Ever since then, I’ve eaten it the same way, and I like my chili to be a bit soupy. So, to keep it that way, I not only add in the beer, but I also throw in a can of chopped tomatoes and kidney beans, both undrained. Their cooking liquids really help to blend all the flavors together and the bean “broth” gives it a silky texture. I prefer to use petite diced tomatoes because they break down so nicely while the chili simmers. 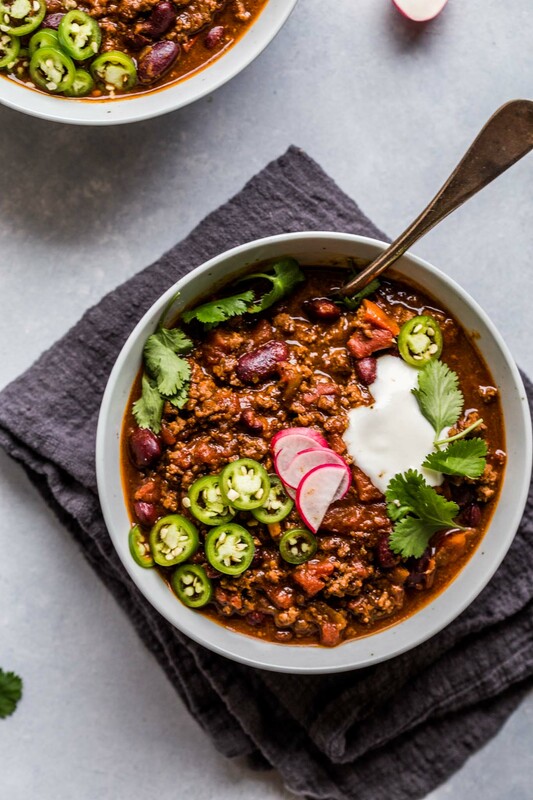 I topped these bowls with just a bit of sour cream and some sliced jalapenos, but feel free to dress your spicy beef & beer chili up any way you like it – Cheddar cheese seems to be a crowd favorite too. Yes, absolutely if you have leftovers, this chili freezes perfectly. I like to portion it into freezer bags in individual serving sizes and place them on a cookie sheet to freeze. Once frozen, I stack them in the freezer making for an easy individual lunch! If you loved this Spicy Beef & Beer Chili I would appreciate it so much if you would give this recipe a star review! Also, be sure to snap a picture of your finished dish and share it with me on Instagram using the hashtag #platingsandpairings and tagging me @platingsandpairings. Cook ground beef and onion in a large pot on medium-high heat, stirring occasionally until browned (about 4 minutes). Drain fat. Stir in seasonings, beer, beans and tomatoes. Bring to boil. Reduce heat to low and simmer, uncovered, 15 minutes, stirring occasionally. Serve over rice, topped with sour cream and sliced jalapenos, if desired. 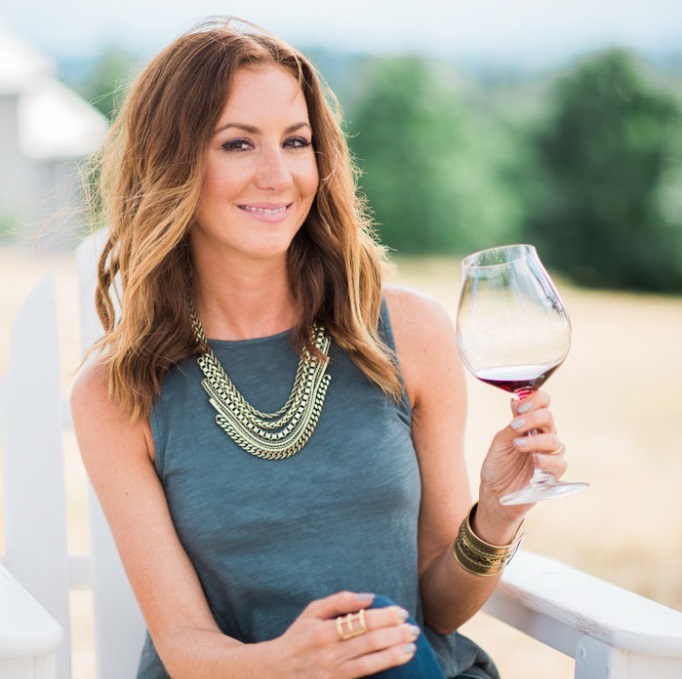 Zinfandel makes a perfect match with chili with its dark fruit aromas, hints of smokiness and just the right amount of tannins. Erin. this chili looks so warm and comforting! What a great dish to make during these stormy days in the PNW. Little known fact- I LOVE chili. LOVE LOVE LOVE. I make it often! 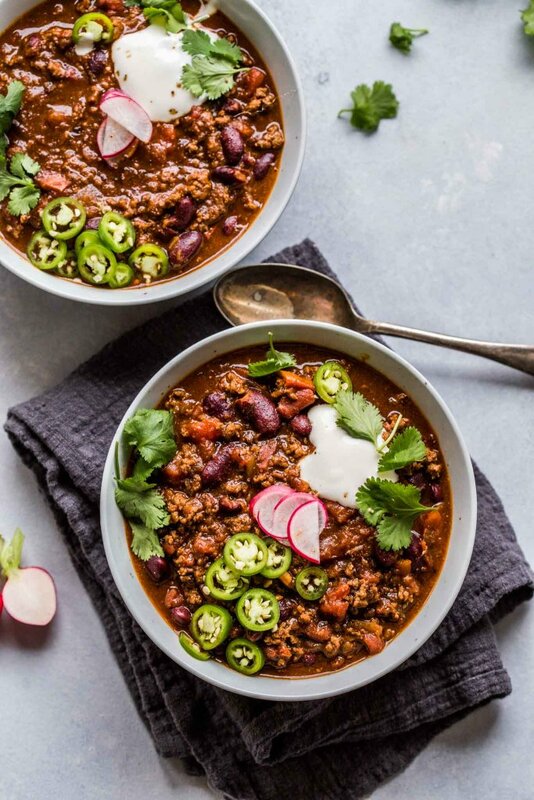 My husband and I both really love spicy chili so this recipe might have to be tested in our kitchen! If we make it- I’ll send you a pic 🙂 thanks for sharing! I’d love to see how yours turns out Rachel! I love spicy dishes. I have nothing to say while beef comes with chili, I mean I don’t late to taste. Thanks a lot, Erin. Hi, did you even make this? I followed the ingredients exactly and this was awful. I should’ve known by looking at the ingredients. It was like beef with water and no flavor… No garlic..? It wasn’t even spicy. It was bland and watery. I had to add a tin of tomato paste, garlic, and some smoked paprika to attempt to salvage this. This was horrible. Obviously I’ve made this many times and I think that many would disagree with your rating of this recipe. I’m sorry you didn’t like it but I guess there are many different variations on chili. This is personally MY favorite recipe. Erin your chili is very good. There will always be people that blame their inability to cook on someone else. Cheers.